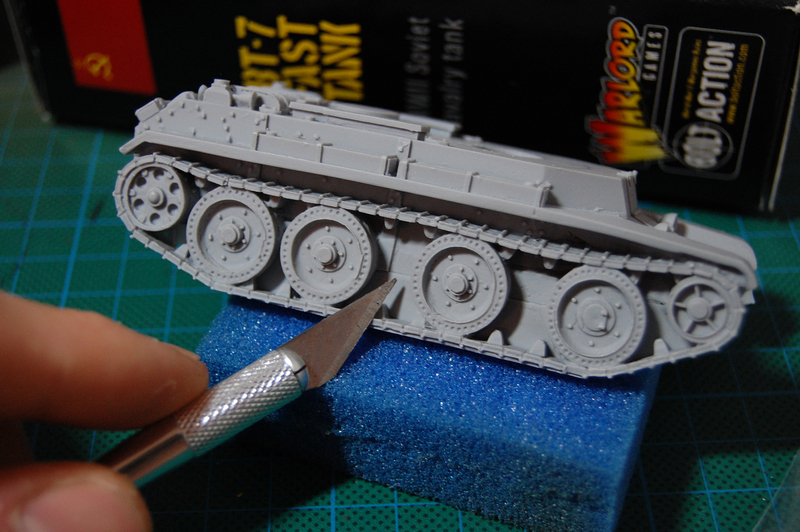 Tanksgiving, resin treats, and the hobby road ahead. Welcome back plastic crack-a-holics! After a short hobby hiatus I’m back with some new and exciting projects ahead of me. Those of you who follow my instagram account (FredandBrush) got the hint last week, and to the rest of you: check your gear and start digging those foxholes! In genereal, the next year will take me back to the beloved world of historical wargaming – and the second world war in particular. 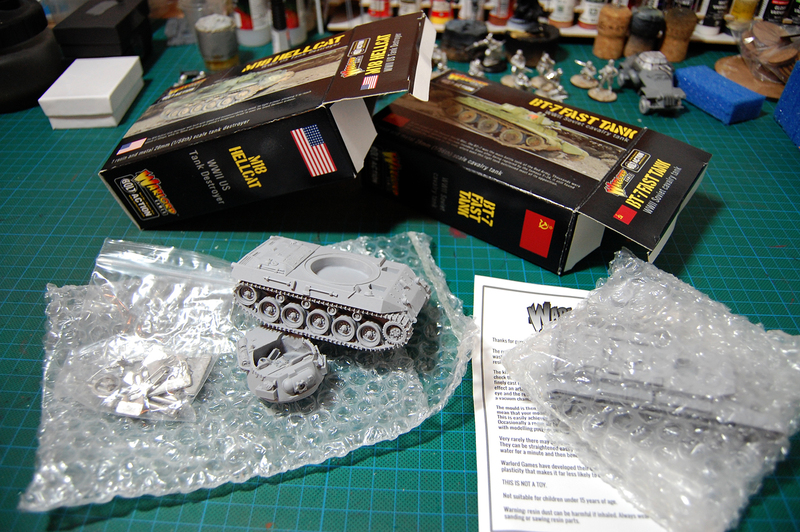 I will reveal the true scope of this project in an upcoming article, but in the meantime I wanted to share an unboxing and some thoughts on two resin tanks from Warlord Games. These kits are neither new releases nor unique to the genre. Numerous (great) blogs and channels have showcased painted versions of them, but the lack of proper out-of-the-box reviews where you actually get to inspect the models pre assembly struck me. Since I love collecting and painting beautiful models I knew I would buy them any way, but I still wanted to know what to expect before I commited to buying. So here’s what I would have wanted want to know last week. 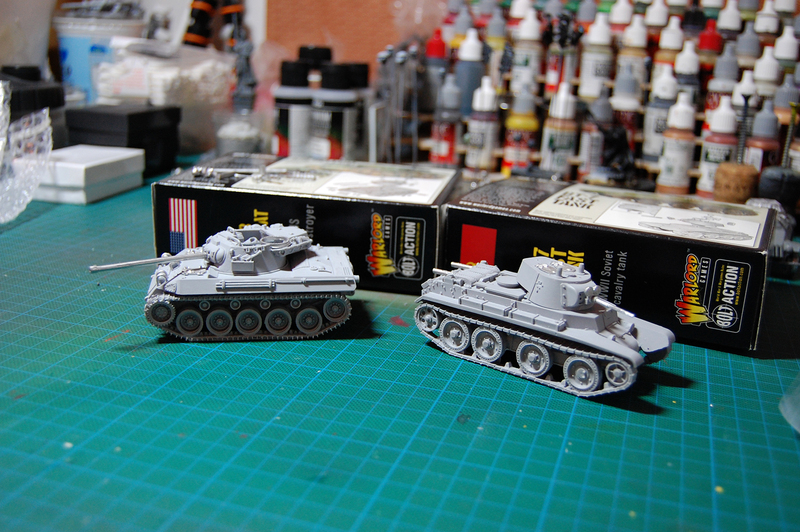 Why a Soviet tank (BT-7) from the early/mid war period next to an American mid/late war tank destroyer (M18 Hellcat)? Well, these tanks are among my favourite vehicles from the period and I like the idea of letting the future decide whether or not I build an army around them. It’s as simple as that – now let’s crack open some boxes of resin! The vehicles are cast almost entirely in one piece and are supplied gently packed in bubble wrap. 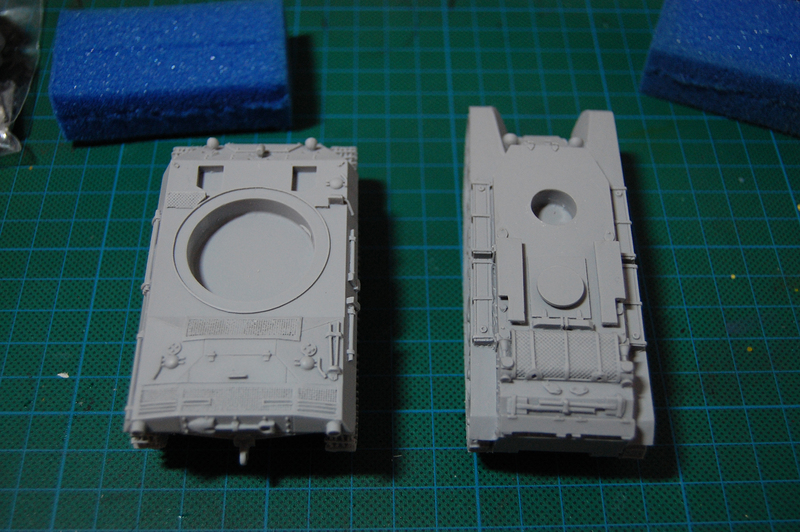 Some details like the gun barrels, crew, headlights, and hatches are cast in metal. There are almost no mold lines on the models, and except for the flash between the tracks there was no need for any clean up after washing the resin with soapy water. 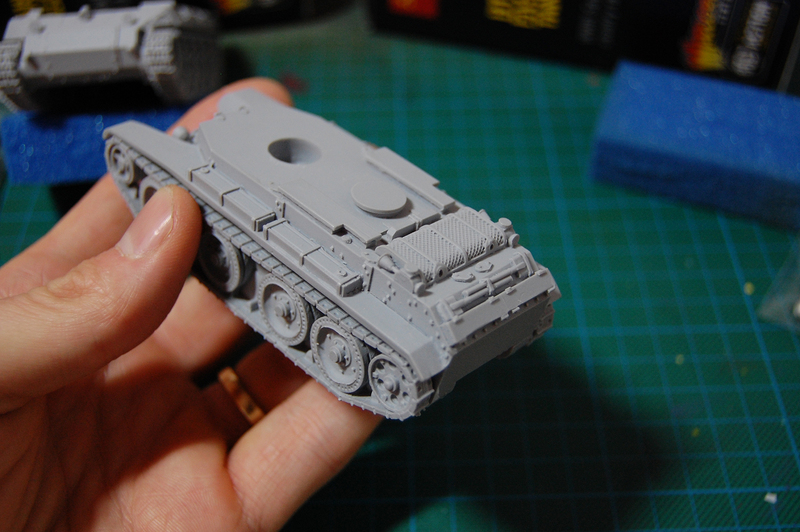 I have collected and built around a hundred resin models, mainly from ForgeWorld, and I have to say it is extremely pleasing to see a resin kit that is so detailed, have no air bubbles, warped parts or huge resin ports that need to be sawed off. Hats off to whoever made these molds! 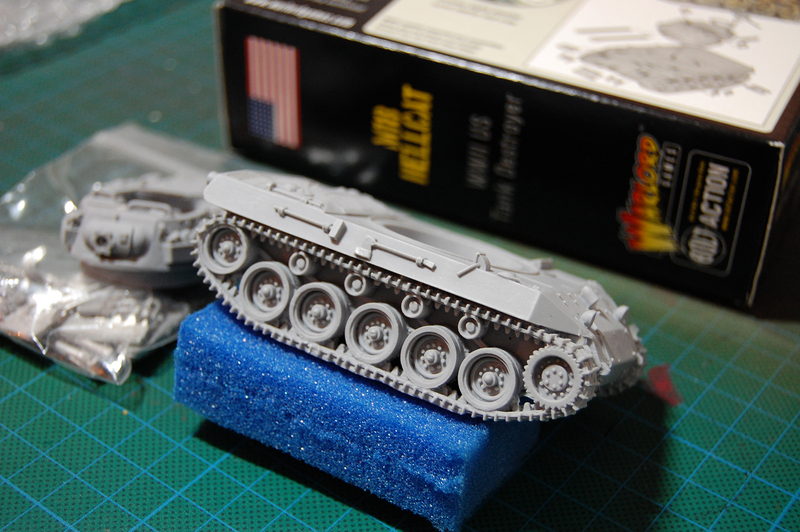 There are two major drawbacks with the M18 Hellcat kit that I find hard to accept and this is my main criticism of the kit. First of all the turret mounted .50 cal is cast in metal, and will probably bend every time the tank is handled without caution. This is a bit awkward given that it’s a model for gaming so I guess I have to hunt for some plastic machine guns. Secondly, the kit doesn’t come with a commander model even though the commander seat is modelled behind the gunner in the turret. 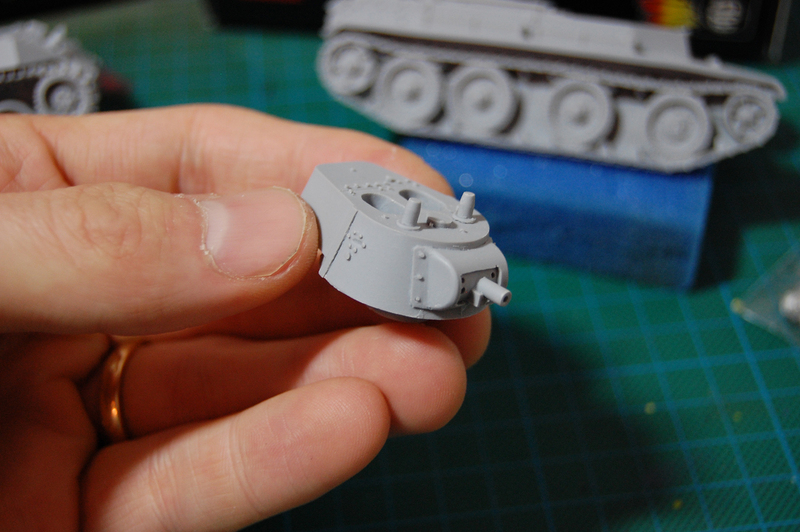 This means that I also have to convert a commander for the tank if I can find a decent plastic or metal equivalent. 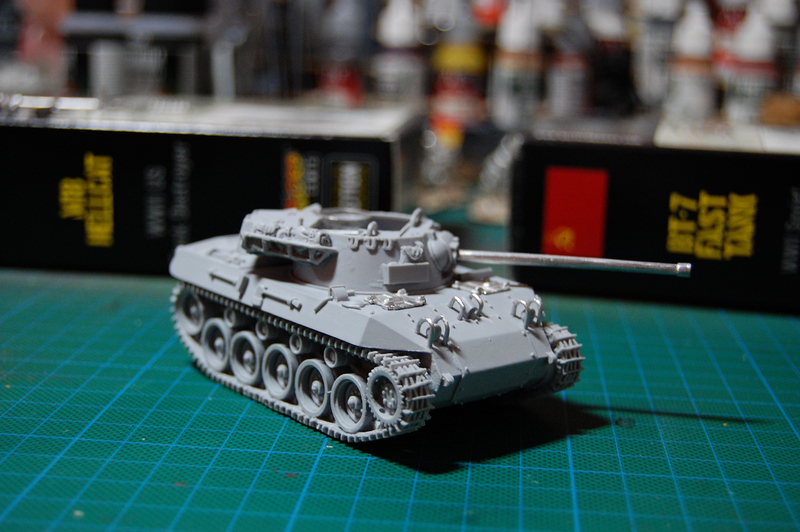 Other than that the models where extremely easy to put together. 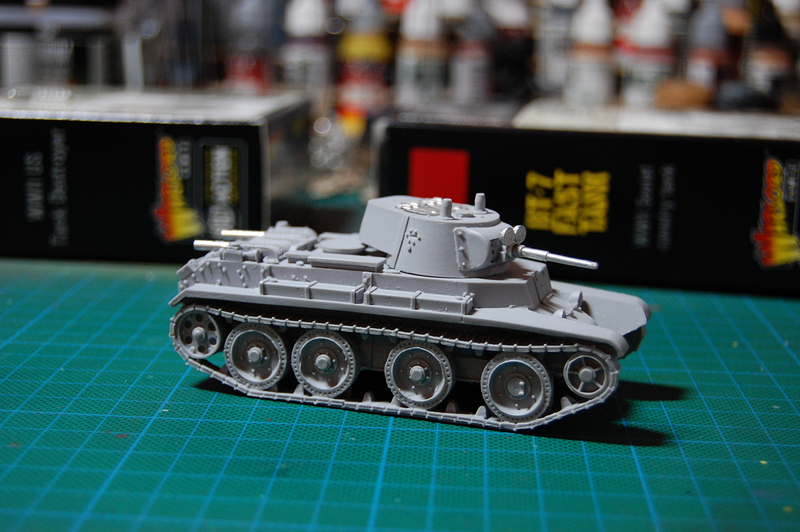 It took me about 30 minutes in total to build both tanks. That included doing some quick picture referencing on what type of gun barrel to use for the Hellcat – since the tank is supplied with options for both the so called “pre 1944” and “post 1945” gun. Looking at images of Hellcats in Bastogne it seems that most were outfitted with the early version so that’s what I went with. Ooops, did I say Bastogne? Well, I’ll elaborate on that thought later. Here are some pictures of the built models! That’s it, if you have any further questions about these models hit me up in the comment section. Make sure to check back here for the next project uptade. It will definitely be worth a read! The Crusaders revisited – SAGA 2nd edition review.